A Mumbai doctor has combined optometry with jewelry to create lenses with 24-carat gold particles in the Shekhar Eye Research India. 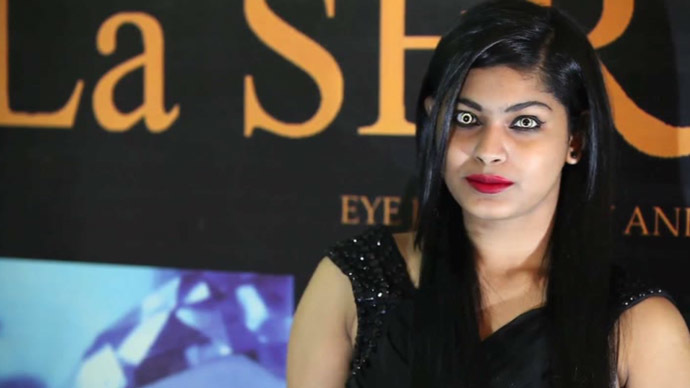 Several customers of doctor Chandrashekhar Chawan demonstrated their glittering and spell-binding eyes in his office. Nano particles of 24 carat gold were added to regular contact lenses in a special form of a paste, which made their price jump to $15,000 (€13,162) – $18,000 (€15,794). Each contact weighs 5 grams, as an extra layer is applied to avoid contact between the eyes and the gold. “This is the latest fashion in the world – eye jewelry. 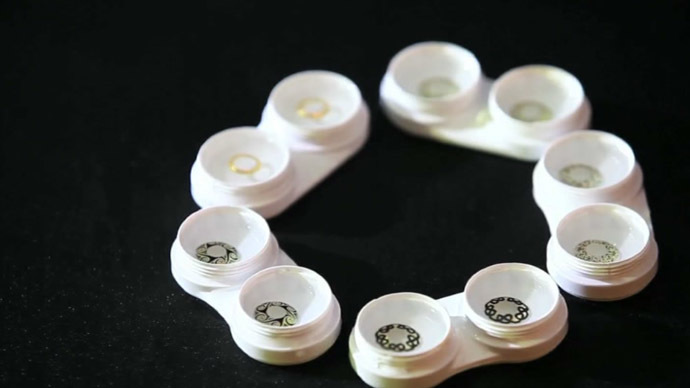 You can wear the eye jewelry and everybody will keep looking at you and they will get mesmerized in your eyes,” Chawan told Ruptly news agency. The lenses were developed in collaboration with ARC Contact Lenses LLC in the US. However, some American experts have expressed safety concerns over the lenses, according to the Daily Mail report. “I got mixed responses – some said its looks scary, but most of the people loved it,” said Chawan in a Today.com interview. “Bollywood personalities loved the concept, that it’s going to be ‘in thing’ in fashion soon." The idea to glamorize the look ventured as far as to adding diamonds to extravagant golden contact lenses. Surprisingly, the doctor was inspired by cosmetic dentistry, as his wife has diamonds planted on her teeth.